Buoyed by nearly pulling off what would have been one of the biggest U.S. House electoral upsets in the country last month, Republican Jim Hagedorn announced he will again run for Minnesota’s swingy 1st Congressional District seat in 2018. Hagedorn fell 0.76 points short of unseating five-term DFLer Tim Walz in the mostly rural southern district – the 12th closest U.S. House race in state history – in what was a rematch coming off his 8.5-point loss in 2014. Despite Hagedorn’s decision, it is still too early to know whether 2018 will bring the Gopher State Hagedorn vs. Walz III. 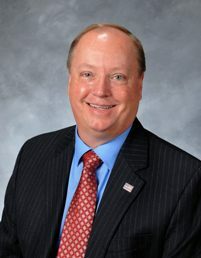 The Mankato-based Republican, a former Treasury Department legislative and public affairs director and Congressional Affairs Officer for the Bureau of Engraving and Printing, would seem to be a shoo-in for the GOP nomination after his strong 2016 showing, though he did face a primary challenger this cycle (Stephen Williams, who Hagedorn easily beat by 53 points). As for Walz, he is one of many names being discussed for a possible 2018 gubernatorial bid – though competition on the DFL side for that nomination is expected to be fierce, provided field-clearing U.S. Senator Amy Klobuchar does enter the race to replace Mark Dayton. In short, the odds are pretty good that Minnesota will see yet another contest between Hagedorn and Representative Walz for what will be the third consecutive cycle. But will the result be any different in 2018? Smart Politics examined the nearly 600 U.S. House elections conducted in Minnesota since statehood and found that only one candidate in state history has emerged from two losses to then defeat the same candidate in back-to-back-to-back cycles. Through 2016, there have been seven instances in which a major party nominee lost two consecutive U.S. House races to the same candidate and then squared off again for the third straight cycle. The only candidate to win that third race is current 2nd CD U.S. Representative John Kline. In 1998 and 2000, Kline lost back-to-back general election contests in the 6th CD to DFL Congressman Bill Luther – by 4.0 points and 1.6 points respectively. After redistricting, Kline and Luther squared off again in 2002 in the 2nd CD where Kline unseated the congressman by 11.1 points. Kline went on to serve seven terms and is retiring in January 2017. Two other Minnesotans who lost to the same opponent during their first two attempts were successful the third time around – although not in back-to-back-to-back cycles. Congressman William Carss lost to Republican Oscar Larson in the 8th CD in 1920 (by 1.6 points) and 1922 (by 6.0 points) as a Democrat before defeating him in 1926 as a Farmer-Laborite by 10.8 points. More than a half-century later, DFLer Collin Peterson lost to Republican Congressman Arlan Stangeland in the 7th CD in 1984 (by 14.1 points) and 1986 (by 0.1 point) before winning the third matchup four years later in 1990 (by 7.1 points). Other major party nominees who lost to the same candidate in three (non-consecutive) cycles are Farmer-Laborite Howard Williams (to Republican Melvin Maas in 1928, 1936, and 1938) and Republican Jerry Shuster (to DFLer Jim Oberstar in 1988, 1990, and 1998). Overall, there have been 589 Minnesota U.S. House elections since statehood of which 582 qualified in this study for possible rematches. [Excluded were five special elections following the death or resignation of incumbents, the state’s first contest for two at-large representatives seated in 1858, and the race for nine at-large seats in 1932 after the state could not agree to a redistricting map]. A total of 101 of these 582 congressional races featured rematches between major party or notable third party nominees, or 17.4 percent of all contests. Rematches have been even more commonplace over the last few decades. Since 1980, more than one in five elections for Minnesota U.S. Representative have seen rematches between major party nominees: 31 of 152, or 20.4 percent. By contrast, from 1950 to 1978, just 17 of the 126 elections were rematches, or 13.5 percent. Rematches were particularly frequent in the state shortly before, during, and after the ascent of the Farmer-Labor Party. From 1920 to 1948, more than one in four congressional elections were rematches: 34 of 132 contests during this 15-cycle stretch, or 25.8 percent of races to the nation’s lower legislative chamber. However, since the DFL merger, just six of 53 rematch attempts were successful (11.3 percent): DFLer William Gallagher in 1944 (against Republican Richard Gale), DFLer Roy Weir in 1948 (against Republican George MacKinnon), DFLer Bob Bergland in 1970 (against Republican Odin Langen), DFLer Gerry Sikorski in 1982 (against Republican Arlen Erdahl), DFLer Collin Peterson in 1990 (against Republican Arlen Stangeland), and Republican John Klein in 2002 (against DFLer Bill Luther). Minnesota could be treated to another back-to-back-to-back matchup in 2018 if Republican Stewart Mills tries to unseat DFLer Rick Nolan in the 8th CD for the third consecutive cycle. Mills lost by just 1.4 points in 2014 and 0.56 points in 2016 – the ninth closest U.S. House race in state history. Next: More Than You Can Mandel? 3 Comments on "Jim Hagedorn: Two Strikes, But Not Out"
1. Hagedorn’s chances in ’18 would likely be “more different” (in his favor), had HRC garnered 278 EC votes (rather than the actual <=232); 2020 might be better timing for him (rural areas seem to be trending ever more away from the party of Wilson, Truman, and Carter in presidential years, even though the D nominee 4 years hence seems unlikely to placidly and benignly cede the country-and-"exurban" vote to the Rs the way she foolishly had. 2. (Paragraph 5) Competition for the D gubernatorial nomination would perhaps be REALLY fierce, should both 2-term US Senator Klobuchar and 3-term State Attorney General Swanson -typically the best-known statewide officeholders aside from the governor- bid for her state's chief executive post (useless trivia: How often does an incumbent/a former AG and SEN go head-to-head for governor, in either general or primary, in MN or elsewhere?). Jim Hagedorn will WIN in 2018 as Minnesotans witness the nation becoming great again through new policies and legislations Hagedorn ran on in 2016. Time Out on ISIS refugees and JOBS ECONOMY JOBS!!! Walz belittles voters, lectures voters like a High School Teacher, and that’s why W nearly lost! W will keep stuffing his wallet with Corporate Money, Special Interest Money, while voting against Great Again Policies. Hagedorn has become a household name and will become the next Congressman for us. Does he even deserve to be mentioned ? Com’n he has been a perpetual candidate … we in the First District have been ignoring him since he was on the 2006 ballot … and don’t forget, he was also an Independence Party Senate candidate in the past and that seat is on the ballot in 2018. The thing that Walz has going for him in 2018 is a contested Senate contest which will draw more people to the voting booth (assuming the press reports that Klobuchar will run again does not change). Of course there is also a Governor’s race where the MNGOP should perform well in a number of counties in the District. Yeah, Hagedorn will be on the ballot again … but this time expect a lot more RNCC fundraising dollars to flow into the District. Hagedorn got zero RNCC support in each of the past two contests. Walz has steadily seen a denigration of support from rural counties. It was not that long ago that Walz won every county … now, he is dependent upon winning Rochester and Mankato. Take Brown County (New Ulm, neighboring Mankato) where Hagedorn won in 2014 4870 to 4423 — okay, a non-Presidential year where MNGOP typically does well. But in 2016, Hagedorn won 8182 to 5376. Yeah, a lot more people voted … and they sided with Hagedorn — big time. Here’s the challenge for Walz, once you lost voters — once they have agreed to fire you– how do you win them back ?